My search for the perfect, most luscious and intense chocolate mousse brought me right back from France, to America, to Julia Child’s recipe. Although I have a few other chocolate mousse recipes in my repertoire, her recipe is a classic and has that perfect slightly sticky texture, that sticks to your tastebuds, then hits you with a wallop of pure dark chocolate flavor. This recipe requires a bit of whipping. So if you’ve ever wanted to really know why French women don’t get fat even though they eat all those luscious desserts, well…once you make this mousse, you’ll find out. But trust me, it’s worth it. As the recipe is classic French, it uses raw eggs. Some folks are concerned about raw eggs, and if you’re one of them, use pasteurized egg whites, which you should verify are suitable for whipping. (They should say on the label whether or not they can be whipped.) Some won’t whip, which I learned the hard way a few year’s back. When I make anything that uses uncooked eggs, I use the freshest eggs I can get my hands on. Speaking of top-quality, since the flavor of the mousse depends on good chocolate, feel free to splurge on a good brand; you won’t regret it. For this batch, I broke up a tablet of dark, bittersweet Belgian chocolate and melted it with rum along with good, strong coffee. Bon Appétit!…as Julia would say. Adapted from Mastering the Art of French Cooking (Knopf) by Julia Child.There’s not a lot of tweaking that I would do to this recipe. If you want to give it a little salty kick, use salted butter. For those avoiding coffee, you can use decaf or black tea. The rum can be omitted. If so, use 1 teaspoon of vanilla extract.It may seem like a few steps (and bowls) but the recipe is quite straightforward. You’ll need one medium saucepan partially filled with barely simmering water for melting the chocolate and butter, then use it again for whipping the egg yolks and sugar. It’s a bit of a workout so feel free to use a handheld electric mixer if you don’t have the moxie for a bit of whisking. 1. 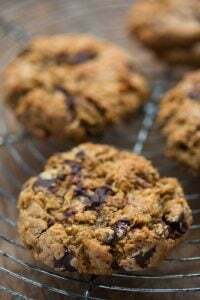 In a medium to large bowl set over a saucepan of barely simmering water, melt together the chocolate, butter and coffee, stirring until smooth. Remove the bowl from the heat and let sit until tepid. 4. Remove the bowl from heat and place the bowl of whipped egg yolks in the bowl of ice water. Beat gently until cool and thick. Remove the bowl from the ice, and fold the chocolate mixture into the egg yolks. 5. In a separate bowl, beat the egg whites with the salt until frothy. Continue to beat until they start to hold their shape. Whip in the 1 tablespoon of sugar and continue to beat until thick and shiny, but not completely stiff, then add the vanilla. 7. Transfer the mousse to a serving bowl or divide into 6 or 8 serving dishes, and refrigerate for at least 4 hours, until firm. 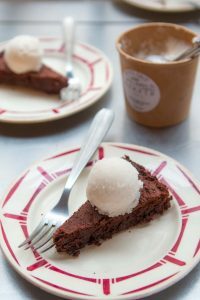 Serving: I like to serve the chocolate mousse as it is, maybe with just a small dollop of whipped cream – it neither needs, nor wants, much adornment. It’s great on its own. Another option is some orange creme anglaise: if you serve it from a large serving bowl, you can spread a pool of icy cold creme anglaise on individual plates, then put a scoop or two of chocolate mousse in the center of each. 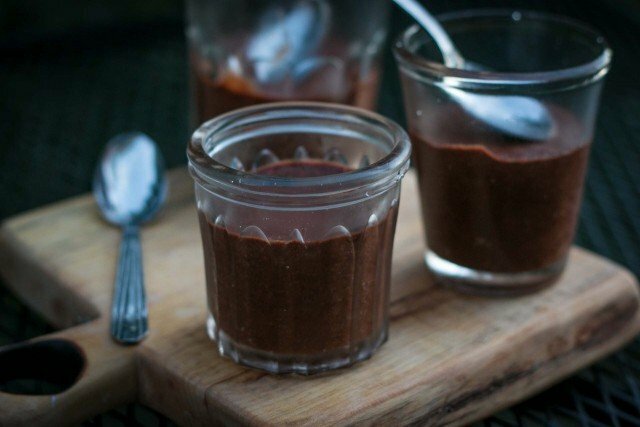 Storage: The chocolate mousse can be refrigerated for up to 4 days. You’re right, it really does sound like the perfect chocolate mousse! This looks fabulous and I’m going to make it tonight! However, I never have coffee in the house – any ideas for a good substitute? Or should I just leave it out? How funny, David. I remember making this recipe when I was about 13. I even garnished the mousse with chocolate leaves made from Meyer lemon leaves (although I didn’t know at the time our lemon tree was a Meyer, just that it grew thin-skinned, mild lemons). In my mind, Julia’s recipe is still the benchmark for chocolate mousse. Oh good, another chocolate recipe. 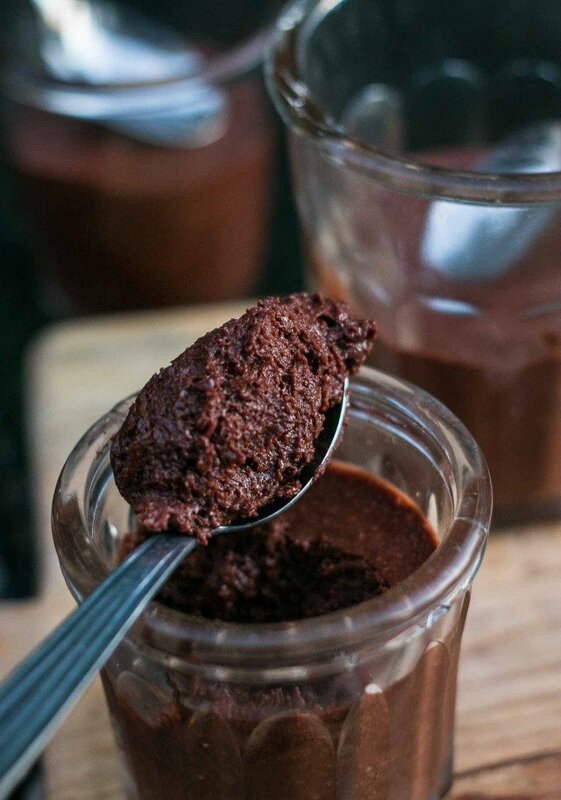 And it’s mousse au chocolat, how good can you get? (except for gateau au chocolat). Merci M.Lebovitz ! You are generally a man after my own heart. After all, the best – and I mean the absolute, total, 100 per cent best – ice cream I have EVER HAD IN MY LIFE was chocolate ice cream I made following, to the letter, a recipe in The Perfect Scoop. However, I’m off the radar on this one. Granted, I haven’t made this for a long time, and I suppose when I did make it, the chocolate wasn’t as good as Greeen & Blacks (it was in the old days), but the reason I haven’t made it in a long time is (sorry) I didn’t like it. I found it to be too rich to even finish a small portion. De-lish! For any Canadian readers, the Burnbrae Farms liquid egg whites whip up very well. I use them often for Angel Cakes and Meringue. Victoria: Thanks for the compliment and glad you like my chocolate ice cream recipe so much! Sally: Anticipating that question, I originally offered some alternatives (like strong tea) but it’s so terrific with the coffee. If you have a coffee substitute, perhaps something grain-based, that would work, as would the tea. Or you could use water as well. Hallelujah — this does sound like the perfect chocolate mousse, as it uses only egg whites and no whipped cream, which I’ve always found to be the key to getting that truly mousse-ey consistency! Thanks for posting it, as I had a recipe like this long ago but lost it, and in searching more recently found mostly recipes that used some whipped cream in there as well. It’s gorgeous!!! By the way… I know it’s not ‘technically’ mousse, but your chocolate ice cream just out of the maker has the texture and divine lusciousness of mousse. I’ve only made Child’s mousse recipe once and it didn’t work for me, for whatever reason, but I’ll definitely have to give it another shot looking at yours. Off topic a bit, but I just made the Super Lemon ice cream from your book and it was amazing. I used Meyer lemon juice that I froze this winter, and put in little bits of candied lemon peel that I also made, but soaked them in Kirsch first so they wouldn’t freeze too hard. Then I put strawberry-rhubarb sauce on top. It was completely ridiculously good. Thanks! I think you didn’t return to America but stayed right there David. I just finished reading My Life in France by Julia Child and her grandnephew, Alex Prud’homme. A large chunk is on all the work that went into compiling, testing (over and over), and perfecting all the recipes that went into Mastering the Art of French Cooking…and most of the work was done in France (with Louisette & Simone). That is one beauty of a mousse. And your photos ~ so, so delicious. OK david, now I feel guilty. I just ate a little container of the Nestle’s Laitiere chocolate mousse and thought it was divine. Must be the jet lag. On the bright side, G. Detou was open this time and I got my chouquette sugar and some lovely basil mustard. Was in Williams Sonoma today and they had a very nice display of ice cream implements, and your book smack dab in the middle on a stand. First, I have been reading your blog for a while now and must say that it has been one of the greatest internet finds I have ever made- I adore it! Second, You must stop posting pictures like this. My husband may catch me licking my screen and think I have gone more insane than I already am! But most importantly, my question. I ran across pasteurized eggs in the store just the other day and was wondering if those would work? I worry that the whole pasteurized eggs maybe would not whip, but I’m not sure. At the time I saw them I thought they were just some weird, new and useless tactic to get people to pay more for eggs, but when I got home, I thought ‘Oooh! I could lick the brownie batter bowl without fear!’. So I am hoping these would work for this too. Krystin: I don’t know much about whole pasteurized eggs, but I have used the pasteurized egg whites and the container usually says if they can be whipped or not. Check your brand; there may be a website or phone number to verify. Still, I’d stick to licking the computer screen instead of eggs—although come to think of it, computers aren’t so clean, either! You know David, I never tried this formula for mousse,I use Pierre Hermes from a book I purchased in France a few years ago, it’s a standard for my cooks at work now and is really scrumptious! I do love Julias books and remember watching her shows when I was a kid in the 70’s on an old black and white tv. Along with her show came Jacques Pepin, which I had gotten her for an interview before she died! Now all we have is that awful food network that turned food shows into reality tv! Oh yeah,She also has a great pate recipe in a book she did with Simca. Well, the usual french chocolate mousse doesn’t add with vanilla, rhum or coffee at the same time. 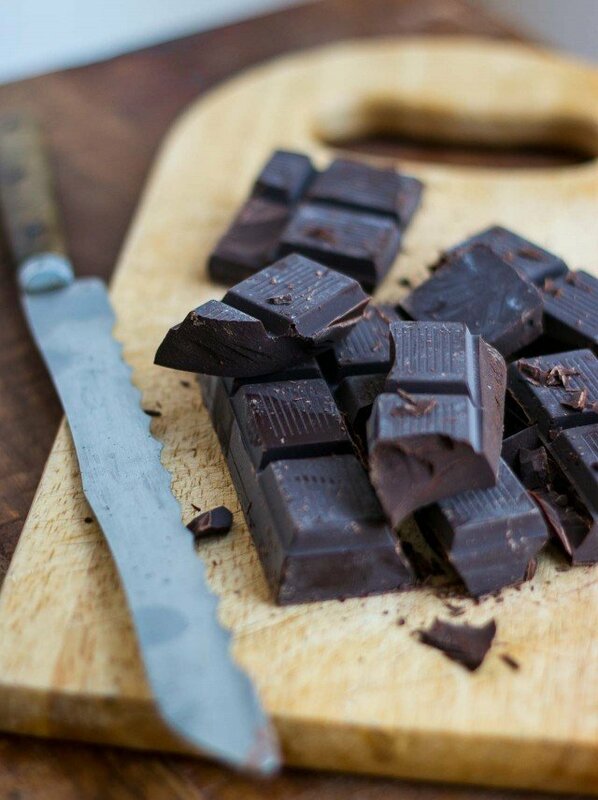 a little of coffee will be good for the taste of chocolate. What kind of texture is a ‘gummy’ texture in a mousse?? Gum as in the chewing-y-ness, or spring-y-ness?? It’s nice to be reminded of a dessert that never goes out of fashion. I’m sure many calories are burned off making this version! David, your post brought back such fond memories. My mom used to make this recipe for me when I was a teenager. It’s my favorite too. She used to add Grand Marnier instead of rum. I have been craving Julia’s mousse this week, so it is great to see your post! I make her version from the French Chef Cookbook, and she lists 1/4 cup orange liqueur…orange juice or strong coffee with the egg yolks. I usually use a combination of coffee and a bit of Grand Marnier. It is strawberry season, and so far I’ve made 8 batches of your strawberry frozen yogurt! My friends and family now request (demand) it every time I come over for a party or dinner. Thanks for such a great recipe!! That looks dreamy! I also wanted to take the chance to thank you so much for your wonderful book, “The Perfect Scoop”, it is by far one of my favorite books! I have tried about 5 recipes so far and everyone blows me away! I am in love with the Mojito Granita! I made this last week. I was inspired by the French Chef DVD. I found this version in From Julia Child’s Kitchen. It came out wonderful, I used Kahlua for the liqueur. I had to put the chocolate on low direct heat to keep it liquid especially after beating in the butter. And KitchenAid mixer bowls are a pain to hand stir in, their very deep and the hump in the bottom can keep you from getting everything incorporated. Really good, but very rich. I guess I just don’t eat as much dessert as I used to. Love your site. The ingredients (butter and chocolate with some eggs and a touch of sugar) look so much like the ingredients for your chocolate idiot cake (otherwise known as gateau victoire or flourless chocolate cake) that I thought I’d mention how I gilded the lily when I made that cake. I toasted some fresh hazelnuts, about the same volume as the recipe called for in sugar, then caramelized the sugar, threw in the nuts, pralined them, ground the nut/sugar chunks in my food processor, and folded those into the cake batter. The nut and caramelized sugar components gave the chocolate cake an extra depth of flavor that was really special. oh, julia, je t’aime beaucoup. i have no fear of the raw eggs; my recipe is almost exactly like this one, except is has some heavy cream. oh, and frangelico instead of rum. The best is my aunt Agnes…:) but it is very similar to Julia Child’s and I am sure most household in France. I just can’t get enough of images of mousse being folded. Well done! That first photo is really stunning! My first and–until now–best recipe for chocolate mousse came from my mother’s WWII edition of “Joy of Cooking.” It was listed under sugar-saving recipes–pretty much, it’s semi-sweet chocolate, eggs, and vanilla. I loved its simplicity and the end product. THIS recipe, however…oh, my. Thank you, thank you, David (and Julia). The Bay Area misses you, David! Wow, that brings back childhood memories. I, too, began cooking at about 9 or 10 years old. Once I mastered biscuits, pancakes, waffles and wacky cake, I set my sights on something decidedly more upscale – chocolate mousse! Mom was a great baker but never got fancy outside of her fabulously buttercreamed, gloriously adorned layer cakes, no mousse from her although we’d had it when dining out. I don’t know where I found the recipe but it’s the basics of this one (no rum or coffee) and it turned out like a dream. I remember being so proud to be able to wow my parents with this dessert. I made it a few times until about age 14 and I don’t think I’ve made it since. Time to go back in time…. It was fun looking up my original 3×5 recipe card, prompted by your post. That one was handwritten in ink, no attribution so it likely came out of BH&G or another ladies magazine of the 60s. Many other cards were in pencil and some typed as I was learning that skill too. Those were the days…. That sounds like you want me to plunk all of that into the water, but somehow I don’t think that is what is intended… Sounds good though. the last picture is the perfect ! My most vivid memory of chocolate mousse (really, my first one) is after a huge steak dinner in Antwerp many years ago. My well-off cousin was paying for everything, and, even though I thought there was no way I could eat anything else, I ordered chocolate mousse. It was so good I polished it off in less than a minute. I made your recipe tonight, and, after many attempts at chocolate mousse, yours is the first one that’s as good as that memory. Mmmmm. Delicious. Am linking to this in my first ever link love post on my blog. Just one question. Is it very sweet? It sounds like a lot of sugar but then having never used 72% chocolate in a mousse before, it may not be. I discovered your blog last night while watching Discovery (or was it Travel and Living?). I have just scratched the surface of it and I will definitely be coming back for more. Julia’s mousse beats all others I’ve tried in nice restaurants! 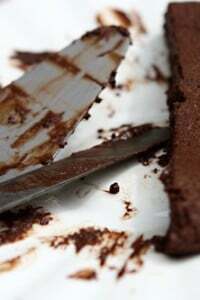 By not adding heavy whipping cream, like most mousse receipes call for, really helps add to the ‘mousse’ like texture. This is my ultimate go to chocolate dessert!!! I just stumbled upon this while looking for a chocolate mousse recipe and two things occurred to me. 1) It’s one of the few I’ve seen that does not require whipping cream, and 2) It’s Julia Child, how could it go wrong? I already have all of the ingredients (I did make a trip to buy pasturized eggs), but I used 85% cacao Lindt bars because that’s what I already had in the fridge, and now the mousse looks grainy. It’s AMAZING though, so I really can’t complain. Thanks a ton for adapting and posting this recipe, it’s the first time I’ve made mousse. While I left the stand mixer to the whites, I did the yolks by hand. *Life lesson learned. * I no longer feel the need to work out these evening! Thanks again! Thank heaveans I was able to found the recipe for Julia Child’s “Chocolate Mousse”. A friend of mine gave me a VHS copy of her show, featuring that recipe. Somehow, I lost the video and never seen it again. THANKS GOOGLE!!! Thank you for this perfect chocolate mousse. I made it 2 days ago and we all loved it. I love Julia Child’s chocolate mousse and I like how you added rum instead of Grand Marnier. I am going to make a batch of this for a layered cake!! I just made this. It’s sitting in the fridge setting. I did not look at the pictures.I am curious why your beaten egg yolks are a pale shell / off white color? hi sygyzy: The whipping with the sugar aerates the yolks and lightens them considerably. Just a silly question–I cannot have ANY alcohol–what could I use in place of rum–or frangelico–or whatever? Would it turn out OK without it? I can’t wait to try it! You can use another liquid, such as coffee or water in place of the alcohol. I would double the amount of vanilla to compensate for the flavor, too. When I made this I think the coffee separated the chocolate so it became ‘powdery’ (I was always under the impression that the key to melting chocolate was not to let any water based drinks get into it), and it was too runny when I folded it into the whites…..aside from beating the yolks a little more, are there any other tips you have? My wife loved the flavor so I would like to get the consistency right…. I was wondering if the chocolate souffle mix can be prepared the night before and then poured into the ramekins just before serving? Can the mousse be made today and chilled overnight in a large serving dish and then prior to serving put into dessert glasses or will this make it ‘fall flat’? Suzy: Yes, you can make it up to 4 days in advance, as indicated at the end of the recipe, and it will hold up fine. Enjoy! Wow, this recipe is amazing! I made it last night – yum yum. I am wondering how it would turn out with white chocolate. Anyone tried this? Argenticien: In America (and surely elsewhere), vanilla extract usually had alcohol in it, but not always. In Europe, I’ve never seen vanilla extract with alcohol in it (they use glucose or another sweet base) in lieu of liquor, so one who was avoiding alcohol could use that kind of vanilla in this-depending on where they live and what’s available. I just made this for the first time tonight. It was also the first thing in Julia’s book I am trying. Before i put it in the fridge I was pretty sure it wasnt going to come out cuz it was a bit heavier then other chocolate mousse’s I have tried. After letting it chill I tried it, with a little bit of whip cream and thought it was pretty good. The one thing I disagree with though is the serving size. I thought this was insanely rich and maybe a 2 oz shot glass worth of it was more then enough. I think you could seriously serve that small of an amount and people would be satisfied. Yes, it is quite rich. But that’s always a problem with European vs American serving sizes. It’s been shown that European cookbooks have smaller portions. Will have to go back and look at Julia’s to see what she says! Had some left over mousse to day and it keeps pretty well in the fridge. It was a bit firmer and more mousse like a day after. I’ve been flipping through the book and now and an inane craving for Mashed potatoes. Have you tried the mashed potatoes with garlic recipe ? After combining the chocolate butter, and coffee to a nice smooth consistency I set it a side only to return to a separation issue. The chocolate was a little curdy and there was clear butter fat, or chocolate oil pooling over the chocolate. It wouldn’t recombine so I poured half off fearing problems when combining it with the egg mixture. It seemed to blend in well with the egg mixture. We’ll see, 3 hour later seems a little soupy…slightly set. 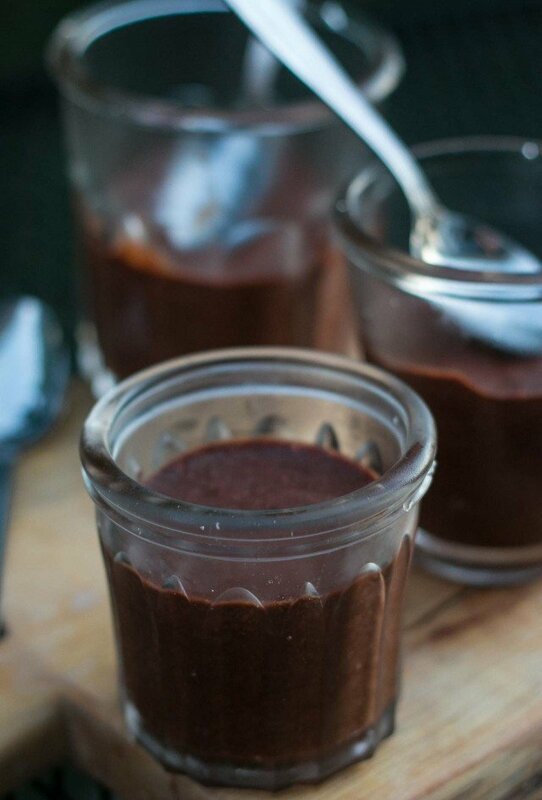 I’ve made this mousse a few times from the book and love the richness and flavor. I want to put this in a middle of a heavy cake (wedding). do you think i should use this recipe or i should make a whipped ganache instead? suggestions? Jeni: As you know the mousse if fairly light, so if your cake is heavy that you wish to fill, you might have problems. Would I be safe using my KitchenAid mixer when making this, or would I be better off just mixing it by hand? I’ve made a similar recipe for many years now. Unfortunately the cookbook is currently in storage, so I am excited to find this one. I ignored the other recipes I came across on the internet because they did not include raw eggs. I do not get concerned with the raw egg issue as long as the eggs come from pasture-based hens…hens on grass. This creates a healthier chicken, thus healthier eggs. Not too mention a much higher nutrition content in the egg. I would never consume raw eggs from a conventional super market though. Pasture based eggs can be found in health food stores and farmer’s markets. Thanks for sharing what looks to be a great recipe. This came out phenomenally. I made some mistakes from rushing with the egg mixtures (I’m a novice with these types of desserts) and I forgot the vanilla! But it came out perfect. I made a orange mascarpone whipped cream with a little bourbon in place of some of the fresh squeezed orange juice. Topped with some slivered almonds and everything was so delicious. I may not be able to get rid of my boyfriend now after serving him this. Hi David! I tried your recipe yesterday and my guests were just delighted with this perfect chocolate mousse. I served a scoop of mousse, a small panna cotta with strawberry topping and a couple of fresh strawberries – great success! Thanks. This sounds awesome, but I have a question. How long can it sit out in an air conditioned room, I need it to sit for about three hours, will it go bad? I will have to try this mousse, but the one I had in Paris at the restaurant Christophe was amazing and a dessert to remember. I only wish I could get the recipe! It leaves memories of my last evening out, and a perfect meal. I’ve been looking for the perfect chocolate mousse recipe for so many years, and you finally published it! I made it as soon as I read it last night and I can confirm it tastes as good as it looks – which is very good. Am bookmarking this page for eternity. Oh my god ! This chocolate mousse may be american, but certainly not french !! I’ve never read nor tasted a recipe with so much sugar and butter !!! The secret to have a perfect mousse is to use more egg whites than yolks. I use 8 whites for 4 yolks, 50 g of sugar and 50 g butter (or vg whipped cream), and this is gorgeous ! To my happy misfortune, I had over mixed the mousse on this one. No matter how many times I tried, the mousse didn’t chill right and I kept getting a gooey chocolate goo. But that wasn’t so bad, I put the bowl into the freezer and the next night I had delicious almost-ice cream goody-ness. Next time I’ll try not to over-mix the mousse. Or maybe not and then just freeze it again. Julia and I go way back to my days with Jacques Pepin. I’ve always loved this recipe with fresh brewed espresso, but prefer using Brandy and Triple Sec over rum. I also like to top with whipped cream made with vanilla and more Triple Sec – what can I say, I like the flavor of orange. Just made this for a few friends for a Christmas Eve-ning desert. Thanks for posting! Merry Christmas To All! Thanks for help in deciphering Julia’s directions–they made a lot more sense after I read your description. Came out great!! I loved this recipe. The texture was beautiful and the taste was heavenly. I have been looking for a chocolate mousse recipe for days together. Now I have found the perfect one. beautiful pictures too.